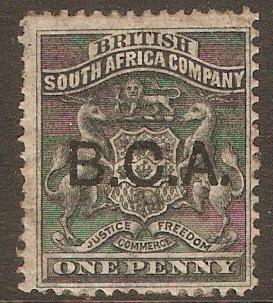 British Central Africa 1891 1d Black. SG1. Mounted mint 1891 1d Black. SG1. 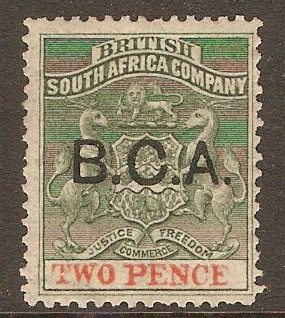 British Central Africa 1891 2d Sea-green and vermilion. SG2. Mounted mint 1891 2d Sea-green and vermilion. SG2. 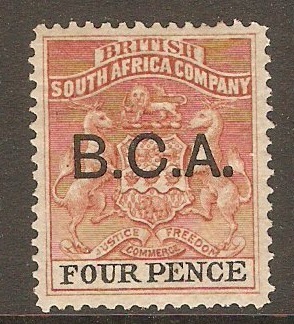 British Central Africa 1891 4d Reddish chestnut and black. SG3. Mounted mint 1891 4d Reddish chestnut and black. SG3. 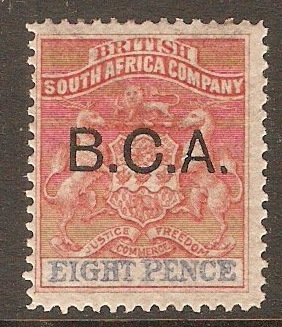 British Central Africa 1891 6d Ultramarine. SG4. Mounted mint 1891 6d Ultramarine. SG4. 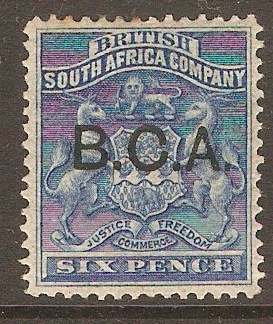 British Central Africa 1891 6d Deep blue. SG5. Mounted mint 1891 6d Deep blue. SG5. 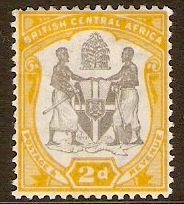 British Central Africa 1891 8d Rose-lake and ultramarine. SG6. Mounted mint 1891 8d Rose-lake and ultramarine. SG6. 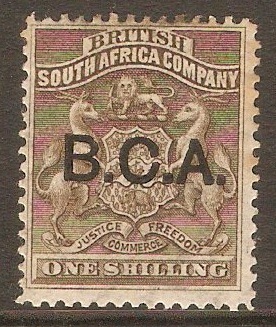 British Central Africa 1891 1s Grey-brown. SG7. Mounted mint 1891 1s Grey-brown. SG7. 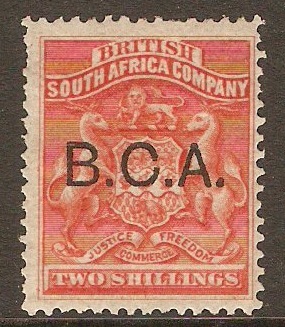 British Central Africa 1891 2s Vermilion. SG8. Mounted mint 1891 2s Vermilion. SG8. 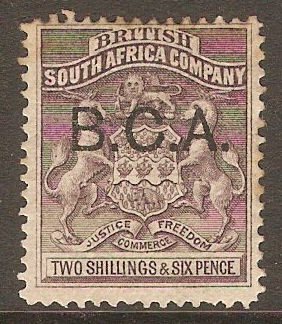 British Central Africa 1891 2s.6d Grey-purple. SG9. 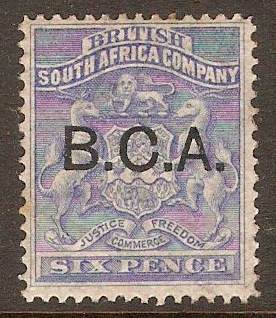 Mounted mint 1891 2s.6d Grey-purple. SG9. 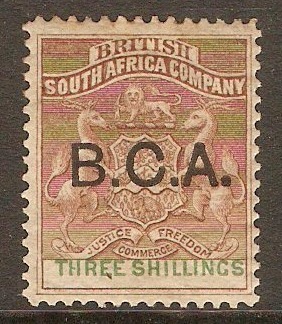 British Central Africa 1891 3s Brown and green. SG10. Mounted mint 1891 3s Brown and green. SG10.